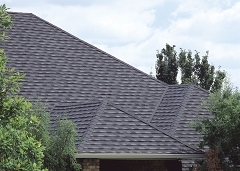 With all the products that you can put on a roof, which one will do the job and be right for your home? This is a decision that many Wisconsin Home owners face this year. What worked on your neighbor's house might not be correct for your home. That is why you need the trained sales force from Kulp's of Stratford. They can help you make this tough choice. We have Decades of roofing and spray foam insulation experience to keep you buildings warm and dry. Call us 715-687-3368 or visit our Stratford show room, 2 miles east of Stratford. If you're in the Wausau area, please schedule an appointment for our show room in the Cedar Creek Mall.